I watch Jelly playing with some nine year old boys at the beach. These aren't just any nine year old boys, these are my best friend's twins. They've known Jelly since birth. 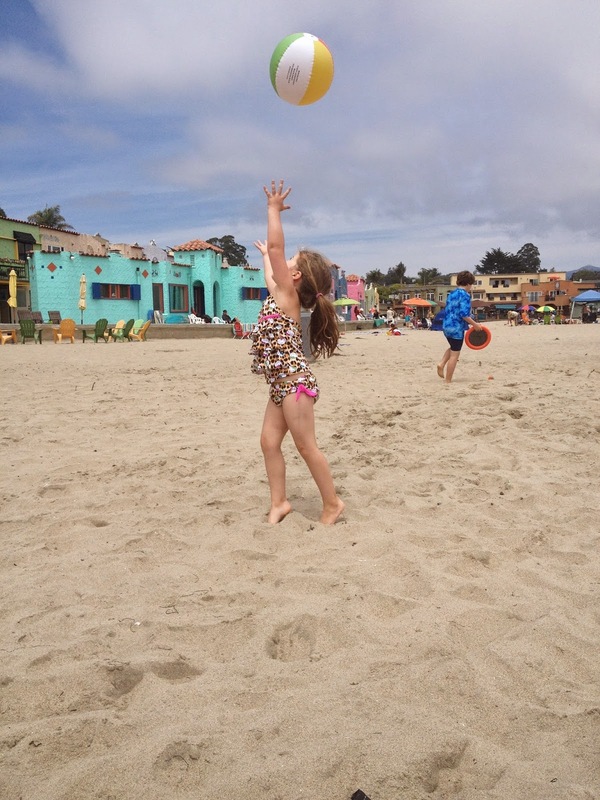 My friend and I talk about how remarkable it is that kids of very different ages can play together so well, especially at the beach. There's just something about digging in the sand. It was a lovely family outing. Except it wasn't really a family outing, not for my family anyway. Jeff and Moe weren't there. Of course they could have come, they were more than welcome. One of the boys even commented that the was sad Moe couldn't come, because he knows how much he likes the beach. They're good kids. These friends stay at the beach for a week or so every year. The first year we visited them there, Moe spent the entire time running straight into the ocean. It was a little scary but Moe loved it and was still pretty small. The second year was a little better. Two years ago, he just ran and ran and ran on the sand and when he wasn't running in the sand he was eating it and it wasn't much fun for anyone. Last year, we canceled at the last minute because Moe was going through a really rough patch. So this year, we decided I would just bring Jelly. Jeff would take Moe to the pool so they would have something fun to do as well. Jelly and I had a great day. It was relaxing and fun and everything a day at the beach with kids should be. But a story was playing in the back of my mind. The same story I tell myself over and over again. Jelly deserves a big brother she can play with. Why can't we take a family vacation to the beach? This is how how life is supposed to look. And then I feel guilty for not just enjoying the moment. For not believing my family is good enough as is. For resenting autism and focusing on all of the things we can't do. ACT teaches that these "what if things were different?" scenarios are just stories we tell ourselves. I don't have to fight them, but neither do I have to give them any weight, especially when they aren't helpful. It's been a good strategy for me. It's one thing to tell stories of what might have been in the abstract. I compare our most difficult times with others' perfect social media stories, or some notion of how things could have been. But during my day at the beach, I was experiencing that life. It wasn't entirely easy or perfect, but it was was infinitely closer to the family life I had imagine. The one I ache for. Thankfully, the other thing ACT teaches is to treat ourselves with kindness and compassion. To recognize these feelings of loss and grief just as a friend would. So this week I'm working on that. On understanding that dealing with a life more challenging that I had expected is hard and that I am a work in progress. I am imperfect, but I am learning. Oh, how I can relate to this post. I am struggling with this. I have always said that I wouldn't leave my older daughter (with a disability) at home- she'd always come with the family. Lately there have been a few situations where I, like you, HAVE left her home. Oh, the guilt. Just today I left her at home and took my youngest (3) to the fair with her cousin, who's the same as as my oldest (7). It's tough. 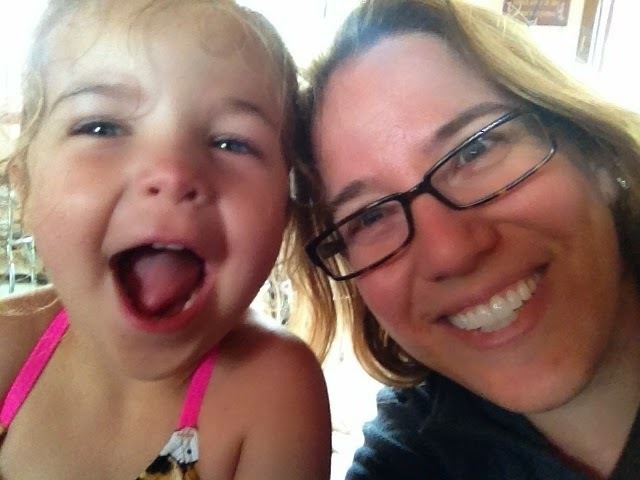 But one thing that I've learned is that not everything is about my oldest daughter's disability. If my oldest were typical I would leave her at home in certain situations and would feel no (or little) guilt about it. But because of her disability I automatically feel guilty. It helps me to reframe things. For example, I am not leaving her at home because of her disability. I am leaving her at home because she doesn't like the noise and the heat of the fair. I am leaving her at home because I need some 1:1 time with my youngest. This helps me remember that even in families without special needs kids, family members all have preferences about what they do and don't want to do, and that's ok. It's late and I am rambling... Just wanted to let you know that this post hit home for me, and that you're not alone. You and your daughter got to spend a wonderful time together, and that's extremely important. All children (whether they have a special needs sibling or not) need that special time with mommy. Congratulations on giving it to her. Hugs!